Plank--A Magical Mystery Tour Plank is a dream play that celebrates the state of dreaming (rather than consuming), and on that aesthetic and moral ground it succeeds admirably. “Plank” Beautifully Examines Nature Versus Society If you’re looking for something out of the ordinary that also takes a few comical jabs at our digital obsessions, this is worth a look. Alley Cat Theater Presents "Plank" - A World Premiere at Boston Center for the Arts Alley Cat Theater Founding Artistic Director John Greiner-Ferris has written a fascinating new play that is being premiered at Boston Center for the Arts Calderwood Pavilion. "Plank" is at its heart a thought-provoking allegory and morality play that strives to move the audience to care about a wide range of issues plaguing our nation and our planet. It is an impressive inaugural offering by this new company, named for Mr. Greiner-Ferris two daughters, Allison and Kathryn. You almost start to feel like you are drifting out of your seat, and into a briney (maybe amniotic) realm where both disbelief and everyday reality are suspended. These minutes have an experimental quality to them, and a somnambulant atmosphere. Are we dreaming? Is Potpee? Is this ocean actually some sort of afterlife, before-life, or in-between place? In ‘Plank,’ magical realism opens up a sea of possibilities John Greiner-Ferris’s “Plank” takes the simplest theatrical elements — a plank, some actors, a creative backdrop, and the audience’s imagination — and combines them into a sea of magical realism to explore questions of priorities and purpose. John Greiner-Ferris: From Public Works to Alley Cat Metaphorical, far-reaching, poetic, and socially conscious, "Plank" bridges various dichotomies: Land and sea, isolation and community, big philosophical questions and pragmatic sociopolitical concerns, a yearning for individual freedom and society's reflexive need to exert control and impose uniformity. It's a vehicle for deep ponderings, but also light-hearted comic stylings that serve to underline the play's deeper resonances. "That being said, media portrayals of unapologetically unlikable women are still too few and far between, and it was refreshing to see a play take on such a difficult topic. Regardless of how much you may hate Bella by the end, she sure is compelling to watch." TinPanLA said, "It’s a fresh, introspective and poignant play that leaves the audience with questions and considerations. What makes Turtles even better is that it’s content and characters are not lofty or esoteric, it’s a simple story with real-life characters—you’ll be intrigued from the first scene." "Cue Boston Public Works. Boston Public Works (not to be confused with the city’s utility department of the same name) is a carpe diem collective of playwrights on a mission to produce each others’ work. Instead of depending on theatrical companies to adopt and produce their plays, BPW directly produces one play by each of its seven members with the playwright themselves serving as artistic director. Once all seven plays have been produced, the group will disband and members will move onto other projects." If three makes a trend, we’re overdue: With the recent launch of both the Philadelphia collectiveOrbiter 3 and of Boston Public Works, AT put two and two together to make this list of four of 13P’s most noteworthy successors. Sure, there are plenty of writer-driven collectives, like Ensemble Studio Theatre and Echo Theater Company. But what these children of 13P have in common is a commitment to producing work by all the playwrights in its roster, with an emphasis on the playwright’s vision and on the hyper-local. An interview published by The Glass Eye Theater in New York when we were collaborating on The Master Switch of the Universe. A Q&A with yours truly surrounding Highland Center, Indiana for Boston Playwrights' Theater's Ground Floor New Play Series at the Boston Playwrights' Theater. "Too many playwrights in this town have been watching too much Sarah Ruhl, it seemed to me - and as usual, the more traditionally-structured sketches came off best. These included John Greiner-Ferris's Striking Out the Peanut Man, Rick Park's Stolen Breath, and Kristin Baker and Dan Milstein's 88 is the 88th Loneliest Number." Turtles was selected as a finalist at The Inkwell in Washington, D.C. as part of its Development Showcase in June, 2012. A 20-page excerpt was read at Woolly Mammoth Theatre Company’s Rehearsal Hall. 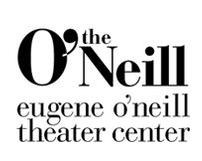 I was honored to have Highland Center, Indiana recognized as a semifinalist for the Eugene O'Neill Center's 2012 Summer Playwriting Conference. "My favourite play in the series was a similar exploration of decline. The third night of the series, May 3rd, featured John Greiner-Ferris’ Highland Centre, Indiana. The informal reading of Greiner-Ferris’ 5 person play was one of the most moving nights I’ve spent at the theatre in a long time. The incomparably Will Lyman captured the crux character perfectly. Henry, an old farmer dying from bone cancer under the care of his nephew Hank, is one of those characters who’s wonderful and horrible and everything in between all at once. He’s curmudgeon and stubborn beyond belief, he’s a backwards thinker in more ways than one, unforgivably proud, judgmental, untrusting and harsh. But he’s also supremely human. Of all the characters I saw over the 3 nights of the Playwrights Series, Henry was the one I most recognized as real. From his fondness for disgusting jello salad to his insistence on homemade cures for hypothetical kidney stones, Henry is as detailed and thorough a character creation as any I’ve ever seen. And the company he keeps is not far behind. Hank (the always-great Daniel Berger-Jones), Henry’s conflicted nephew, is easily the strongest protagonist in the series. One of those upsettingly rare creatures who is more than a sum of his adjectives, Hank as much contradicts the labels pushed onto him as he does embody them (labels like “young gay man” or “country boy”), making for a truly empathetic, engrossing and wonderfully complex character (in my favourite “that’s how it actually works” way). Steven Gagiastro gave wonderful life to Billy, the play’s complicated comic relief and Sarah Newhouse was heartbreaking as Alice Ann, the late mother/sister at the heart of Hank/Henry’s consciousness. Greiner-Ferris sets up the potential for a lot of darkness early on in the play. His subject matter threatens to cross into the stuff of soap opera. But he grounds the story in his richly-developed characters, who deal with their turbulent lives with remarkable honesty. Highland Center, Indiana speaks to the greatest strengths of the human spirit and the worst failings of human beings, a story more honest than any I’ve seen."